Whatever your moving needs may be, Meathead Movers will help you feel at home in Santa Clarita. Our professionally trained student-athlete movers and our moving concierge will be with you for the entirety of your move to Santa Clarita. With a convenient location, adjacent to Interstate 5 on the northern end of Los Angeles County, Santa Clarita has an excellent quality of life and is a safe place to live and raise a family. Thanks to the best Santa Clarita Movers – Meathead Movers — it is exceedingly easy to move into this welcoming community. Santa Clarita is best known for two institutions that reside within the greater area — the California Institute of the Arts, one of the world’s preeminent art schools started by Walt Disney to train animators, and Six Flags Magic Mountain amusement park that offers spine-tingling thrills with its highspeed coasters and rides. Beyond these two institutions, the community is also home to a unique Cowboy festival in April and a Thursday night farmer’s market running from March through November. Its proximity to the Tehachapi Mountains which separate Los Angeles from the Central Valley gives outdoor enthusiasts ample opportunity to hike, boat, fish, camp, or enjoy the Hungry Valley off-highway vehicle recreation area. Moving into one of Southern California’s best communities is easy with Meathead Movers. Our movers are unique in that they are all student-athletes who are in such great shape that they jog when they are not carrying boxes. They are trained on how to make the greatest use of their strength and agility to give you a faster and less expensive move while keeping your possessions safe and sound. Our Princess Packers will pack your belongings with the same care and delicateness that you would, and our five-star move concierge service will connect you to any service you need to make your move to Santa Clarita as easy as possible. In addition to our superior moving services, we also offer reliable packing, storage, on-site relocations, and our distinctive moving concierge service. 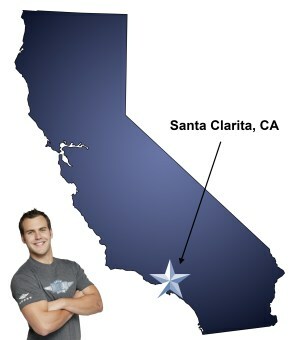 Although there are several Santa Clarita Movers, there is only one Meathead Movers. Contact us today to schedule a no obligation moving quote and see why our award-winning team has the right people to get you moved into your new Santa Clarita home. With our 100% satisfaction guarantee, the only thing you have to lose is the stress that comes from moving! Moving to Santa Clarita? Here are some helpful resources. View more Santa Clarita resources. Courteous clean polite workers who were careful not to mess up the walls or the furniture. The Moving Mentor kept telling us we had way more stuff than we'd indicated. Well, the sales rep with whom I spoke kept assuring me that that was no problem. We also hired Princess Packers to come in the day before. If you'd wanted a more accurate or detailed report of everything we were going to move - I'd have gone to my sister's place and walked/talked through it. Or, Princess Packers could surely have updated the to be moved list while they were there. I wasn't informed about a possible, substantial 'change order' to the cost of the move. (We were not charged, but the Moving Mentor kept telling us he probably 'should' have charged us.) This was news to us. It would also have been great if you'd specifically and clearly informed me that if you used your boxes, my bill would be WAY higher. I would have purchased more boxes myself. Your service is not inexpensive - but some of us are still trying to move on a budget. Even your packers thought that a 4 hour minimum was pretty steep - and considering I paid for four hours and the packers were there for two- I agree. You managed to book us inside of a week! Your staff (Princess packers) were professional and quick!